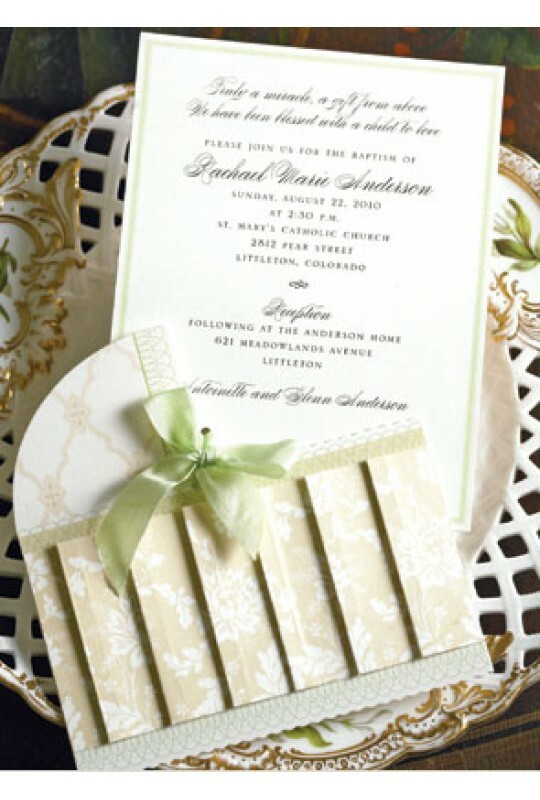 This stunning two piece invitation features a beautifully detailed bassinet with a green bow. 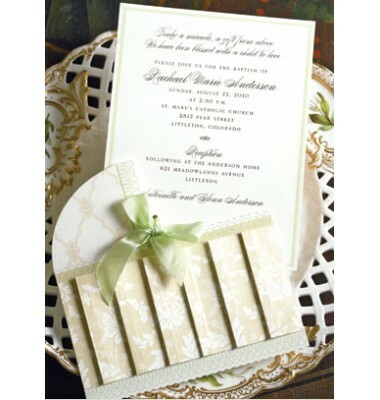 Your party information is printed on a separate card that is attached to the bassinet with a green ribbon. Perfect for either a boy or girl baby shower or for use as a birth announcement. White envelopes included. Assembly of ribbon required.